MENLO PARK – Today, Facebook announced new features and tools for Facebook Fundraisers that are aimed at helping fundraiser creators and donors make even greater impact. 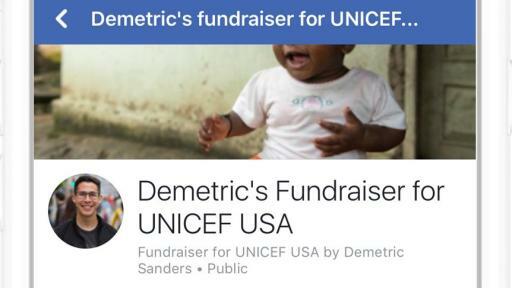 Every day, people start Facebook Fundraisers to support the causes that matter to them. People can pledge to match donations to their nonprofit fundraiser, which is a first of its kind tool in online fundraising that's now available in the US and will soon expand internationally. People often pledge to match donations to their Facebook Fundraisers, and the company wanted to make that easier. For example, David Smith lost his sister in a car accident in 2013, and this year for his birthday, he started a fundraiser for Mothers Against Drunk Driving (MADD). He told family and friends that if he could raise $100, he would match their contribution. People rallied around the cause and raised $2,360 — more than 10x his original goal. Facebook wants to help everyone meet and exceed their fundraising goals through matching donations. Now people who create fundraisers can pledge to match donations, directly within the fundraisers tool. Matches can be any amount that they choose, from $5 to $2,500, helpingpeople build momentum for their cause. 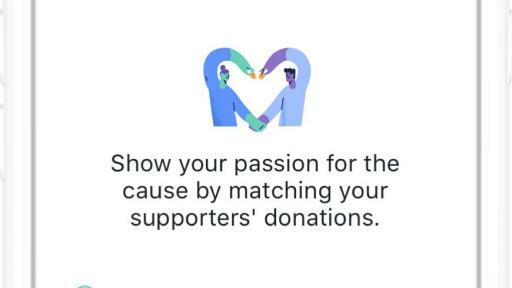 To create a fundraiser for a nonprofit or a personal cause, visit facebook.com/fundraisers or tap the Fundraisers bookmark on the Facebook app. You can choose the cause you want to support, share why it's important to you, and follow the steps to set up your goal. The company also waived all fees for nonprofit fundraisers last fall at the Social Good Forum in New York City, NY. “We know people care a lot about the organizations and causes they support. We're grateful for their passion and for the feedback that helps us build better tools to help them reach their fundraising goals,” Sharma added.